The road to of PLM software is one littered with broken promises and shattered dreams. We’re believers in the promise of product lifecycle management, but we get it: some people are skeptical. Even as interest increases steadily over time, people are still unsure. So we thought we’d take stock. We trawled through past articles and reports to understand what cloud PLM has promised previously, and where those promises sit now. Did we make it? Is it on the cloud-based PLM software roadmap? Is it a complete pipe dream? This is the state of cloud PLM in 2018 (so far anyway). Be sure to check in in a few months when we see where we’re at! The promise: cloud PLM will lower the cost of PLM to mere peanuts! The promise for cloud PLM – and other cloud-based computing systems for that matter is that it drops the cost so much that the floodgates open to new customers. 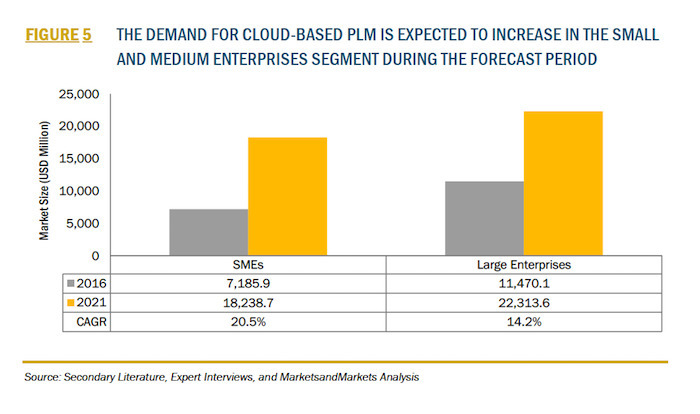 For instance, in a Market&Markets PLM trends report, they projected that between now and 2021, the demand for cloud PLM among SMEs will grow by 20.5% CAGR (compared to 14.2% in large enterprises). But has this promise been realized in the market so far? A solutions architect at a multinational retail corporation admitted that it reverted to a homegrown PLM solution following several failed vendor implementations — one of which took several years to implement and cost the organization $10 million. So it’s no great surprise that when someone like Autodesk advertises $75 bucks per user, we think that’s a significant price decrease. Oleg Shilovitsky of BeyondPLM argues that price remains a major development challenge for PLM implementations. Essentially, he argues that despite a low per-user fee, once you multiply that cost across the total number of users, it climbs to a level comparable to traditional PLM. Traditional PLM comes with significant implementation and customization fees. These fees regularly drive the cost far beyond the sticker price. Traditional PLM requires significant capital outlay. So even if we buy the idea that TCO is the same for both, one is staggered over years while the other requires a whack of cash up front – cash manufacturers don’t necessarily have lying around. Traditional PLM requires on-premise installations and, importantly, someone to run them. Cloud PLM might leave you on the hook to pay a monthly per-user fee, but salaries for developers continue to rise and IT budgets can spin rapidly out of control. One of the core problems that PLM pundits love to hit on is how long it takes to get up and running. The challenge is this: PLM technology is fundamentally an integration technology (more in this in a minute). For instance, look at CAD software like SolidWorks. That’s fundamentally a production software: its purpose is to produce something. Likewise, if you look at something like Salesforce, the goal is to DO something. 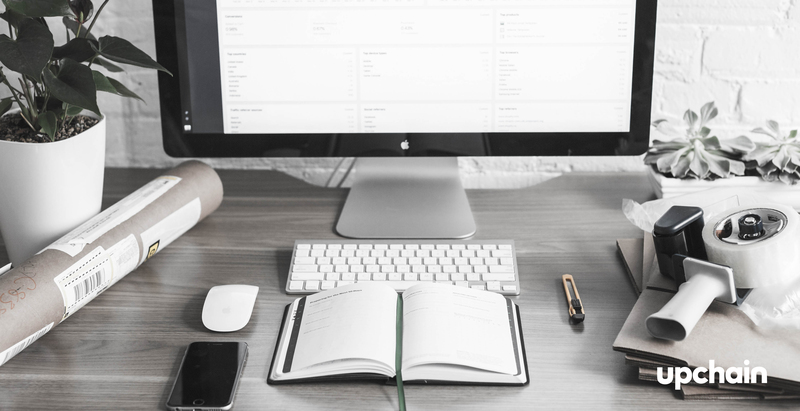 We think that in the current state of cloud PLM, the primary goal is a little different: its to connect disparate software stacks. Its purpose is to facilitate collaboration between engineers, designers, and business stakeholders. For us, we do that by directly translating the CAD metadata into a bill of materials. But every PLM solution tries to solve this problem. However, for a long time, this promise went unrealized because traditional PLM and other enterprise software solutions like ERP, SCM, CRM, and CAD programs have been extremely difficult to integrate. Either they lived in deliberate silos (e.g. Catia files were incompatible with SolidWorks) of they were just built so idiosyncratically that integration with anything was a total nightmare. All this to say: integration is hard and time-consuming, and that’s why PLM has traditionally been unable to fulfill this promise. But we think the current state of cloud PLM is different. Webhooks, open APIs, and cloud infrastructure mean that PLM systems are far more dynamic than they used to be. This makes integration significantly easier – which means that cloud PLMs are more plug-and-play than their creaking traditional predecessors. a SaaS PLM provider… described a 350-seat PLM implementation that took only 45 days to deploy despite complications around millions of different current products in the customer’s catalog and rationalization of discrete and continuous manufacturing processes. We’d say that’s pretty fast, so we can firmly say: yes – this promise has been realized. As we mentioned, in the current state of cloud PLM, it’ all about integration. Integration into broader business units, integration into legacy tech stacks, and integration into a broader value chain. First, demand. As value chains become more complex in line with increasing product complexity, the demand for collaborative product lifecycle goes up. Historically, collaboration hasn’t been a core focus for engineering software like PLM. Connected devices are fuelling product development, but to leverage that, organizations need a way to take data from the outside world and push it into design and engineering. Improve success rates of new product launches by 25% through advanced decision support. Increase your speed to market 50% by improving the design review process and collaboratingmore closely with customers, partners, and suppliers. Achieve 90%+ customer satisfaction rates through closer connection to customerrequirements and excellent product quality. What we’ve learned so far is that while this promise of a totally connected value chain will be a reality one day, it’s not the reality yet. We still encounter an awful lot of people who are using manual processes and ad-hoc workflows to bring products to market, neither of which is capable of managing the volume of data nor the data sharing capabilities for a truly interconnected value chain. Our opinion on the state of cloud PLM right now? It’s getting better, but there’s still work to be done to connect the value chain. The current state of cloud PLM is looking positive. There’s still work to be done, but overall we’re moving in the right direction – towards open, shareable, and accessible data and processes across the value chain. Cloud PLM promised a significant decrease in price. And it’s delivered on that, driving PLM adoption in SMEs throughout the supply chain. Cloud PLM promised users it’d be up and running fast. It’s delivered on this too – integrations are easier, out-of-the-box functionality is here, and cloud PLM has steadily moved towards “plug and play” design. Cloud PLM will connect the value chain. That’s the end goal, but we don’t think we’re there yet. Organizations are still using manual processes to get products to market, and data either isn’t incorporated or, more often just isn’t there. The idealized complete feedback loop from IoT devices back to the people who build them isn’t a reality… yet. That’s what we think the current state of cloud PLM is. Think we missed a point? Let us know in the comments! Otherwise, check back in six months for our cloud PLM update.